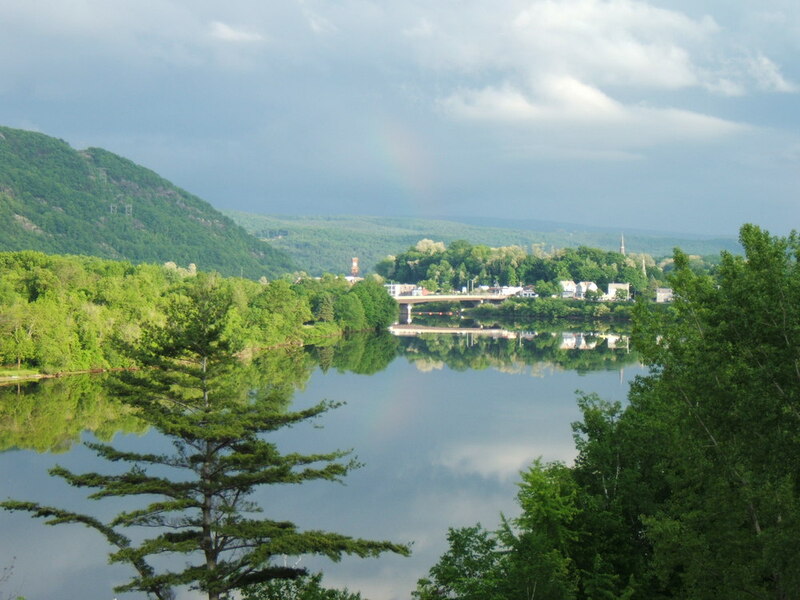 The Hotel Windham is On The Square in the historic village of Bellows Falls, Vermont, on the Connecticut River Scenic By-way where the river's Great Falls and New Hampshire's Fall Mountain join in scenic splendor. 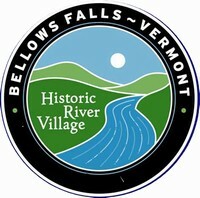 Looking south, down the Connecticut River, to the historic village of Bellows Falls, Vermont. Constructed in 1933 to replace a larger predecessor destroyed by the fire of 1932, the classic Georgian Revival style Hotel Windham was designed by the architectural firm of Harper and West and is the dominant building On The Square in the village. The Hotel Windham at street level with three store fronts, a restaurant, hotel lobby, ballroom, sunporch and rear deck overlooking the oldest river canal in the United States. Click the arrow to see a Bellows Falls Fly-By of the Hotel Windham. Some of the photos and copy used on this web site may have copyright limitations. If you would like your business or association included or removed from this site, please don't hesitate to let us know by clicking events@hotel.windham.vt.us.